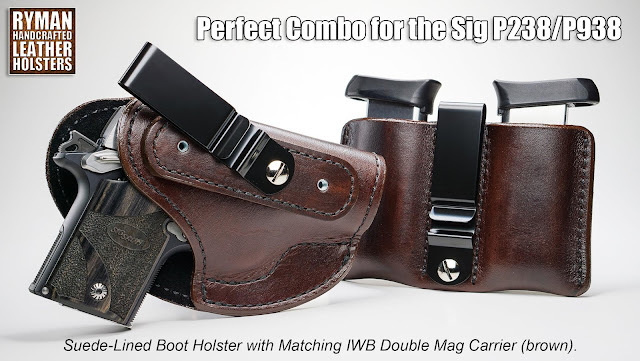 Sig P938, Sig P238 Holster. 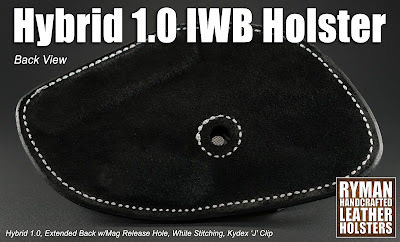 Most Comfortable IWB Holster? This customer chose several custom options for his Hybrid 1.0 for the popular little 9mm Sig P938... Graveyard Camo shell, extended back with a mag hole relief cut, white stitching, and a Kydex J clip for support. 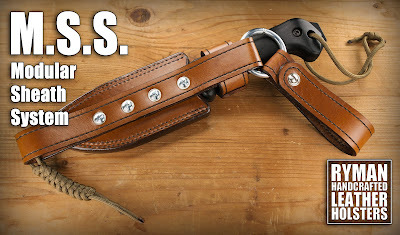 As with all of the H1s, the retention is completely adjustable and the hardware that makes it possible is embedded within the leather back- no nasty t-nuts against your body, just smooth suede leather! The cant is adjustable as well with the firearm completely shielded from the mounting hardware. 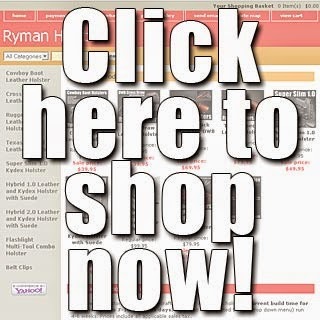 Check prices and availability at www.RymanHolsters.com. 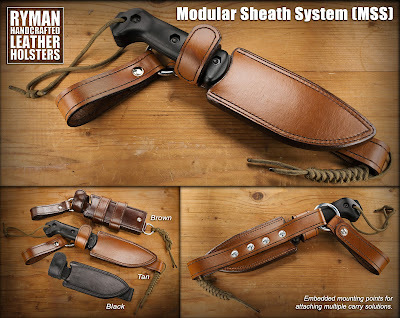 Modular Sheath System for KABAR Becker BK , ESSE, and more! This week, I've been working on my bushcraft-style sheath. 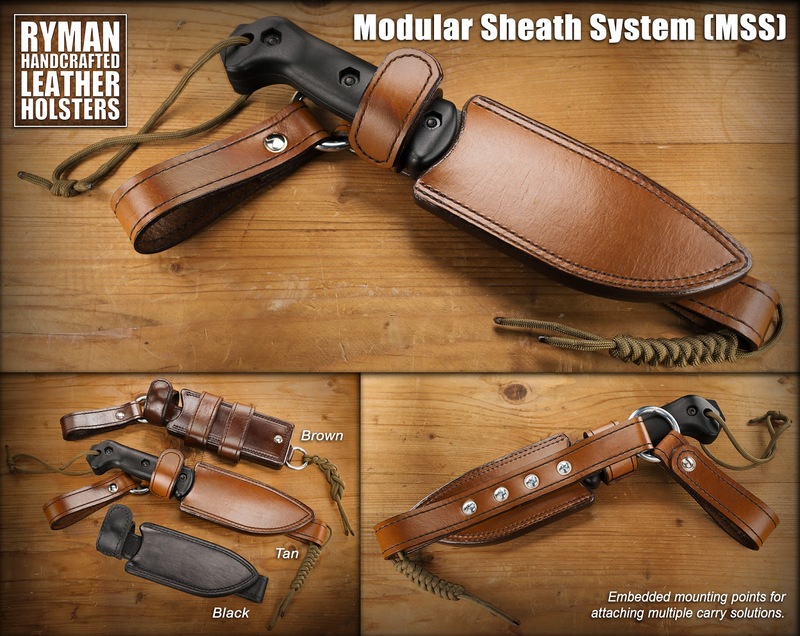 I'm thinking of calling it the 'Modular Sheath System' (MSS). 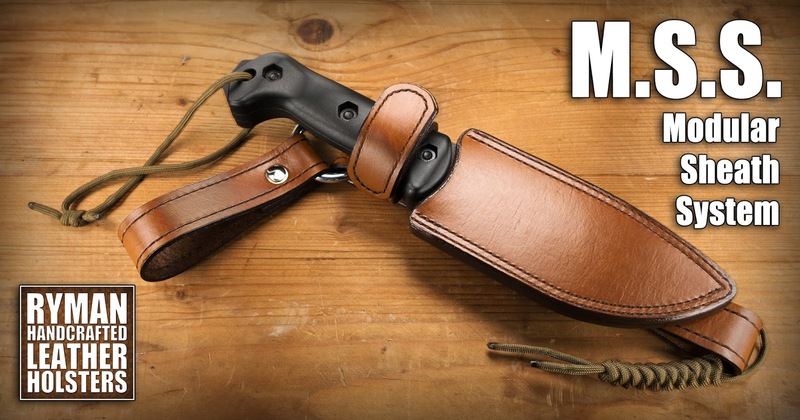 The MSS can be carried as a short, hi-ride sheath (note the black one in the pic) or add the dangler attachment for a low carry option.The tan and black sheaths in the pic have attachment points on the back side only. The brown sheath has attachment points on both sides. The strap is doubled up over the snap and springs out of the way when opened (thumb break style) so it doesn't get cut when drawing the knife. I'm still working on accessories. I may incorporate some Kydex wrap-around mounting options for the front side to minimize bulk. Perfect Combo! 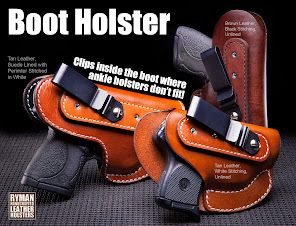 Boot Holster and Mag Carrier for Sig P238 and P938. 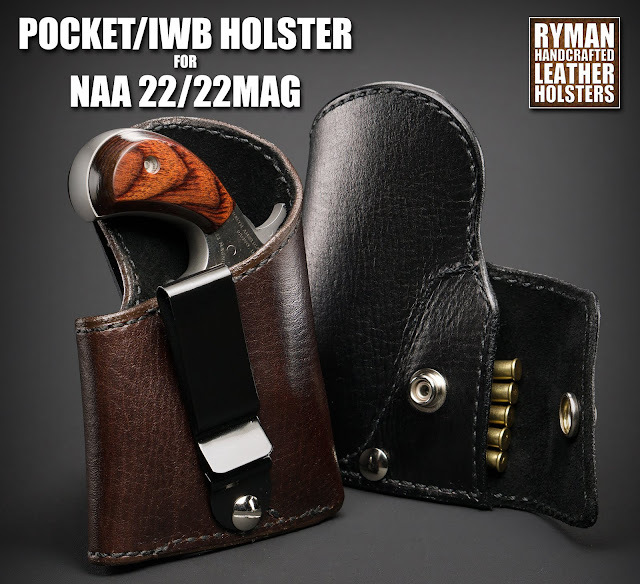 IWB/Pocket Holster for NAA 22LR and NAA 22MAG, Holster for North American Arms, suede-lined with ammo pocket. 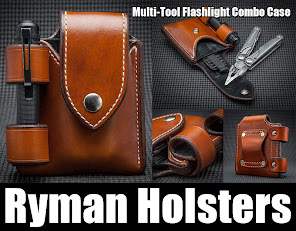 This is a combo holster for the little 22/22mag revolver from North American Arms. It's suede lined and features an ammo pocket on the back. 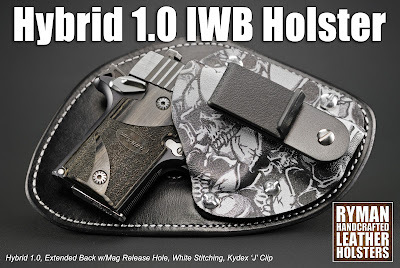 The steel clip* makes this a great IWB rig or remove the clip for pocket carry. 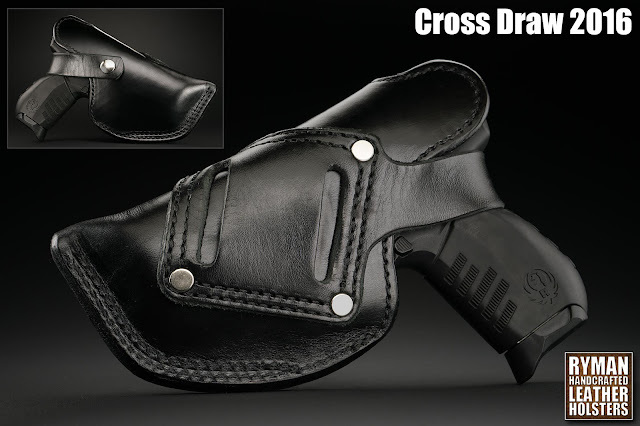 *Optional standard length and extended length kydex clips in 'C' or 'J' shape available. 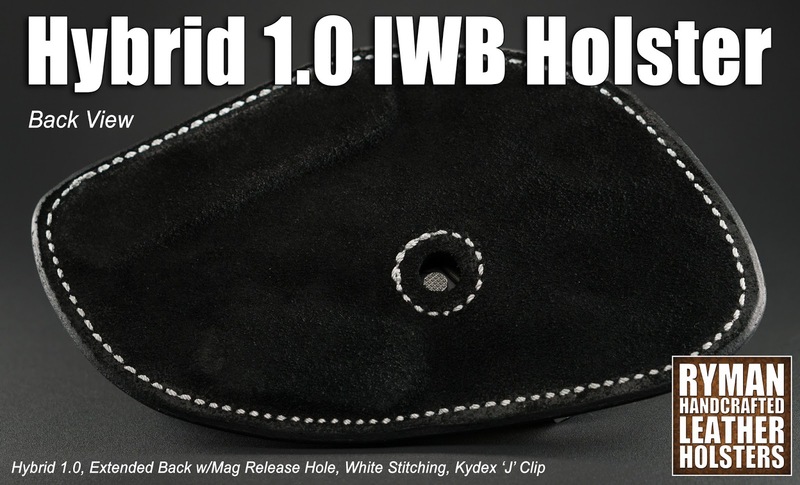 IWB Mag Carrier for Sig, Ruger, Smith and Wesson, 1911, and many more! 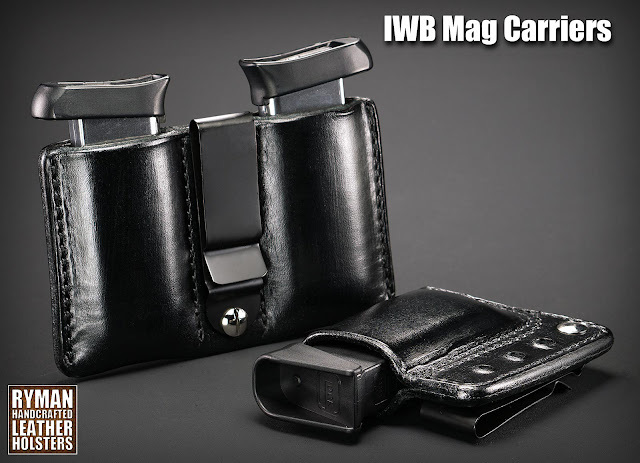 IWB mag carriers for single stack magazines. 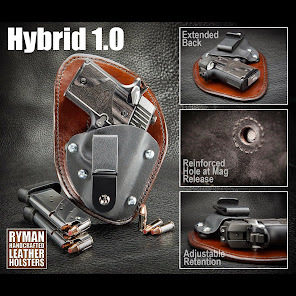 These work great inside the waistband or as a complimentary mag carrier for the incredibly popular Boot Holster from Ryman Holsters. 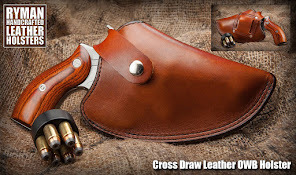 Cross Draw 2016- Latest revision, OWB, suede lined leather holster for Sig, Glock, Ruger, Smith and Wesson, 1911 Kimber, Springfield and many more! 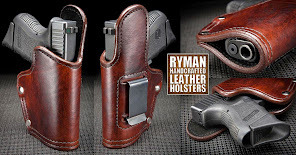 This is the latest revision of the Cross Draw holster by Ryman Holsters. The holster pictured features the optional belt-slot attachment method. 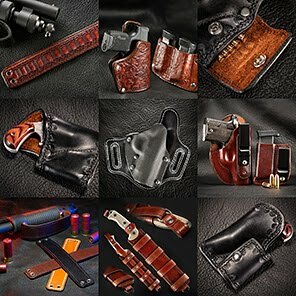 Every Cross Draw holster is suede-lined, completely shielding the firearm from the rivets and snap hardware.